Lottie has turned into a little fuss pot when it comes to dinner time. She is too busy messing about making her sisters laugh and not actually getting any food in her mouth. I always enjoyed dinner time with the girls, we sit together, enjoying the meal I had cooked and have a chat but Lottie’s sudden rebellion has been making it tough. I decided to take some action to try and get our meal times back to normal by giving Lottie a little incentive to sit and eat nicely with us. Rather than the usual you wont get any pudding I thought I would try a different tactic and make dinner time special for her and exciting. Little Chickie sent over the cutest little 6 piece dinner set for Lottie and it came at the perfect time; a new dinner set to a 2 year old is like a new kitchen to me. 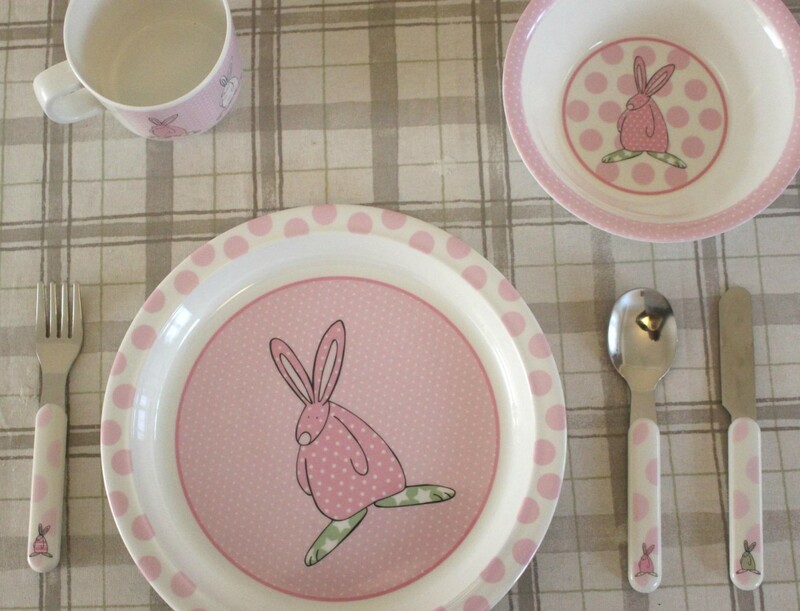 She was so excited to have her very own Rufus rabbit dinner set that was different to her sisters. Straight away she wanted to sit down for dinner, for a child who usually wont sit still she sat patiently waiting for her plate to be filled and tucked in. Only stopping to admire her new fork, why can’t everyone be as satisfied in life as a toddler with a new fork – it’s great! The 6 piece dinner set is £24.99, it is presented in a cute little gift box making it a perfect present as well – little bunnies are perfect for Easter as well if you are thinking ahead for a less chocolatey Easter gift this year. Little Chickie pride themselves on finding unique high quality brands which are a bit different to those you would see on the high street. You can really see the difference in the quality of the products Lottie’s used this set daily for the past month and it has stayed in a great condition, no wear and tear, no discolouration and no scratches. I have a 6 piece dinner set available in either pink or blue for one of you guys to win, all you need to do is follow the instructions on the gleam widget below to be in with the chance. The winner will be contacted via email, Terms and conditions apply. 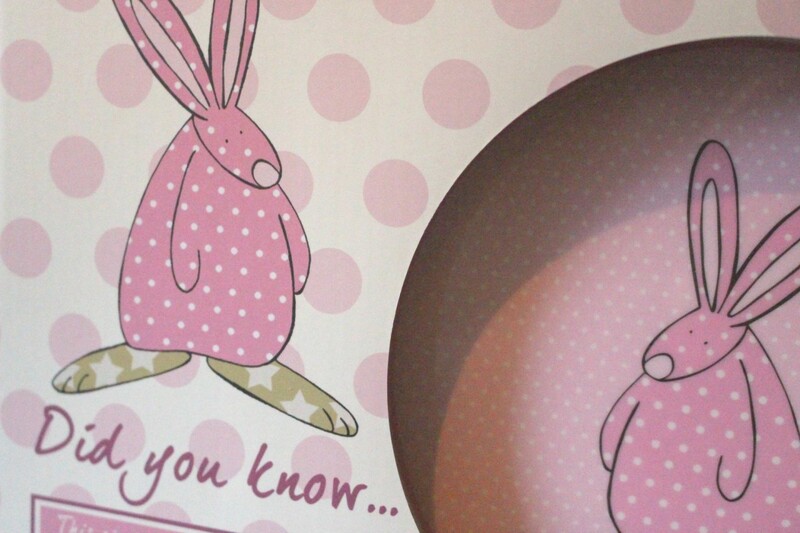 Very cute – especially if your child loves rabbits as my daughter does. I meant to get my daughter a dinner set for Christmas and forgot! This would make a lovely present at a baby shower or on a little ones birthday I think. adorable set! perfect for our little Grandson! My daughter would love her own dinner set! would be lovely for my daughter! Super cute! LOVE the design. This is such a lovey set. I just had to enter this for my little niece! She absolutely adores bunnies and she’s just starting to feed herself so it’s literally the perfect little set for her! Gorgeous! Adorable!!! Would love a blue one for my bubba due in May! I have a new baby gt.granddaughter and this set is very special – like her! These are so cute, thanks for this lovely giveaway. A wonderful competition and I’m sure my grandson would love these and hopefully he’d feel the need to eat more, he seems to get more fussy by the day. Such a cute set, my daughter would love this. Oh this is so cute. I would love this for my 2yr old daughter. Anything that might help her sit and eat dinner than getting distracted by anything and everything around her! This is sweet I’d like this for my daughter Isabelle. This is such a cute little set. This is a really lovely set. The pink would be lovely for Amelia and Alexia. Thanks so much for the chance. It’s lovely. 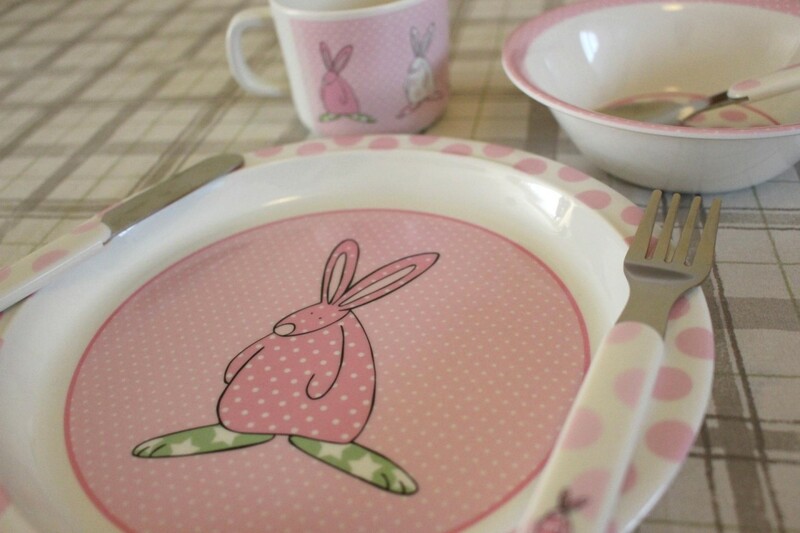 If I’m the lucky winner, I’d love the Rufus Rabbit 6 Piece Boys Dinner Set, please. Children love their own dinner sets. This one is lovely. what a cute dinner set! This looks like a really great prize – fingers crossed! What an absolutely adorable dinner set! I would love this ready for Clia when she starts weaning! This is so lovely, perfect for a little girl I know! I too would love to win this for my little granddaughter. great prize, would love to win this for my 2 year old grand daughter for when she eats at nannies house. fingers crossed for me but good luck everyone. So sweet! My two year old would also be super chuffed with a new dinner set! Thanks for the great competition! Good luck everyone. A perfect gift to my niece! Whoa, thanks!